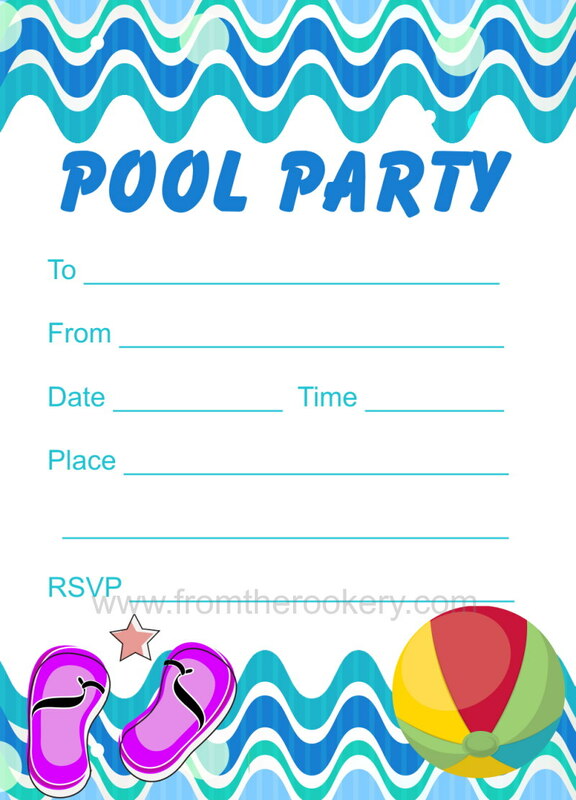 Having a celebration and need a pool party invitation? 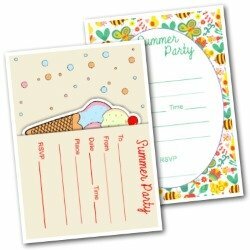 I have got some fantastic invites for you - and they are all free printable downloads! 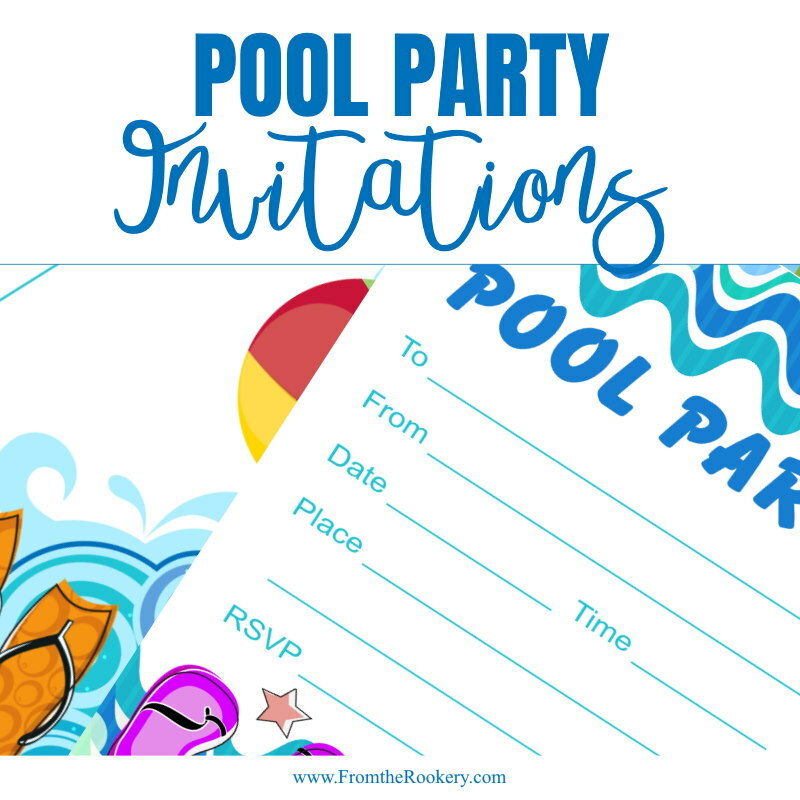 On this page I have designed two cute invites for pool parties. I had kids in mind but I think they would work for adults too. 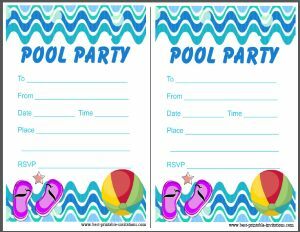 Both print out two per page - much quicker printing if you have a lot of guests! I am not sure which my favorite is - scroll down and decide for yourself! Pretty wave pattern in different colored blues. I added a beach ball and some thongs/flip-flops to get you in the right mood! 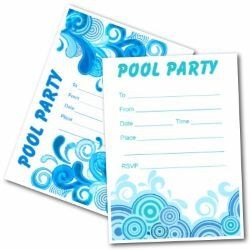 It is a simple design but works well for lots of different types of pool parties. Another very simple design to save your ink! 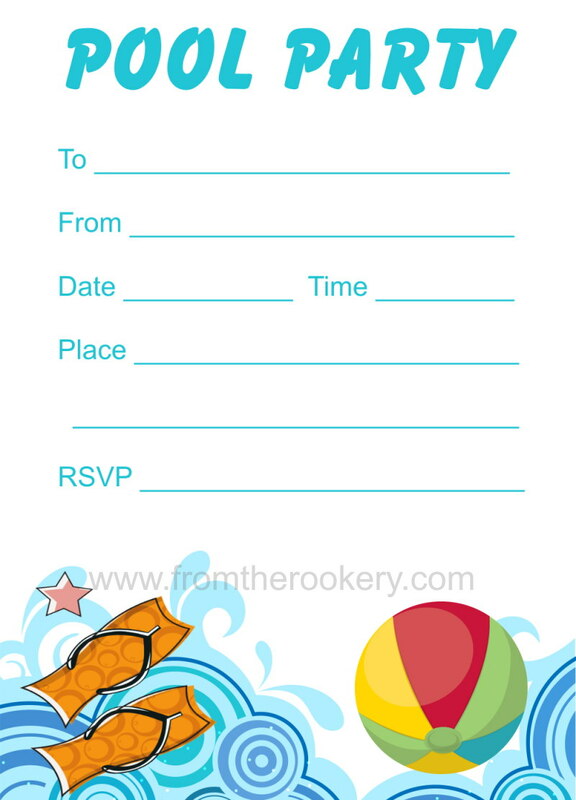 It has a splash of color at the bottom to bring the invite to life. We love pool parties (although we can't always guarantee the weather for them here in the UK!). One thing I have found, is that it pays to provide lots of shade for your guests - particularly if you live in a hot area. If you don't have some trees nearby, why not make your own shade? I found this inexpensive DIY way to make your own canopies here. You could erect it in different ways, and use any trees or buildings around the pool too. A few of these around the pool gives everyone a place to escape from the sun. And don't forget to have lots of sunscreen on hand too. 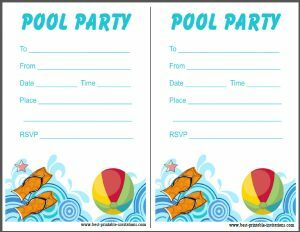 I have always found seating at pool parties to be a problem - especially if you have lots of guests. Everything gets so wet! Inflatables covered with towels work well for a kids party. Or try crates with towels on top for adults. 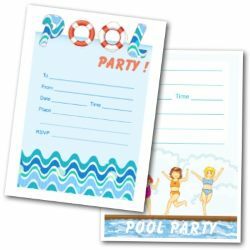 Your party won't be boring so why choose a boring guest book! Try one of these 'not your average' guest books instead. This site contains affiliate links. Please read my disclosure. Get access to my Newsletter! All Rights Reserved. All Digital Products are provided for PERSONAL USE Only.